I am so pumped about this fun little project. 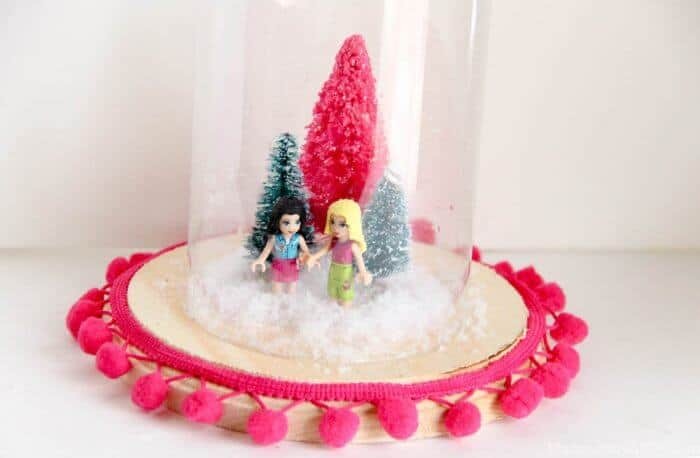 I know it doesn’t seem like much, but I love when there is a fun, inexpensive way, like this dollar store holiday terrarium, to decorate for the holidays that can be constomize to each person and each holiday. Have I mentioned how much I love the holidays? You know what makes me so HAPPY about the holidays? That everyone does them just a little bit different. Whether it be traditions, santa, mid-night mass, or white lights or colored. Each family does their holiday different then everyone else. That’s what make this little project so fun too. Each kid can fully design and make these their own. While the main supplies are pretty standard, there are a ton of fun additions that you may already have at home. Here’s how you can make your own at home. 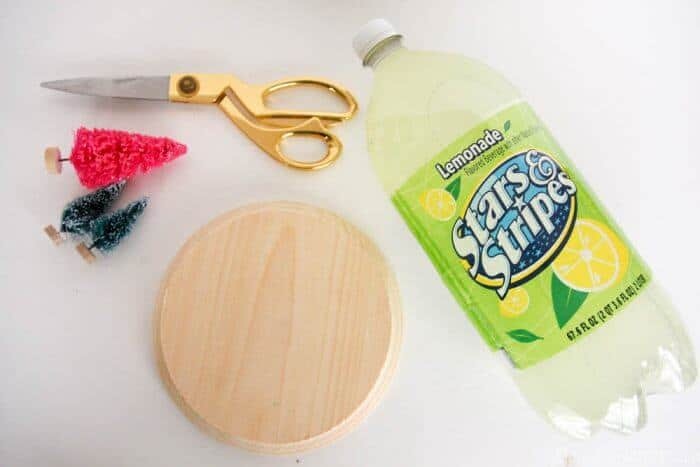 Start by using the scissors and cutting the bottom off of the empty liter bottle. There is a small lip at the bottom of the bottle that it is a great guide to making sure your cut is even. If the bottom is sharp, use a small piece of sand paper to dull it, but a clean cut should be fine. The plaque is a great place to have the kids show their creativity. They can paint it, color it, glue ribbons or washi tape to create their own design. 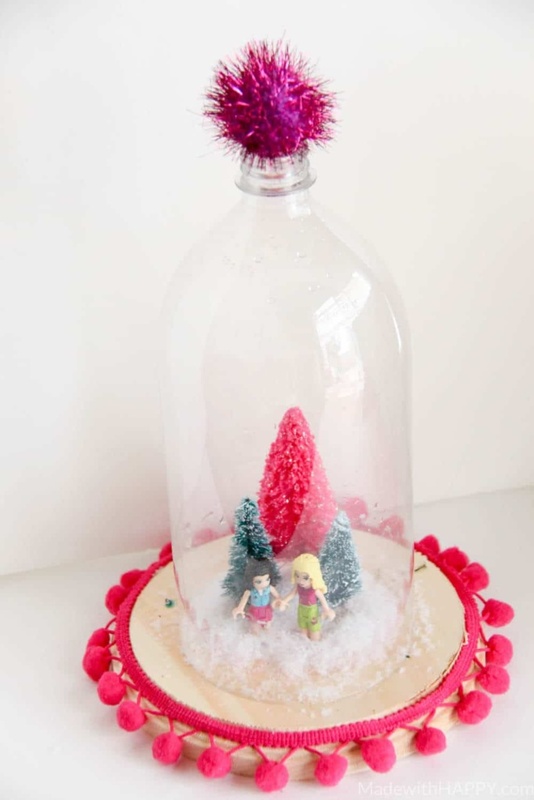 The top of the liter bottle is another great place to add creativity. Whether it be a large pom pom or any fun figurine. Then on the plaque add your miniture holiday items. 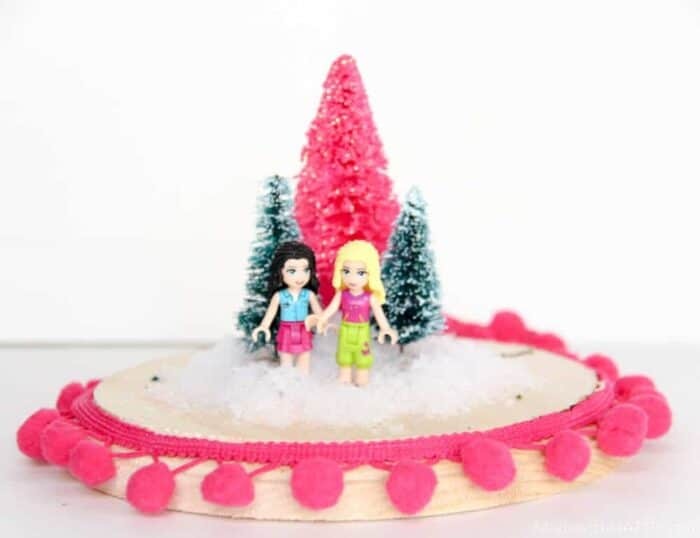 We love color, and went with a fun hot pink tree as well as some green minature trees. Use tape or the reusable dots and secure your figurines to the plaque. 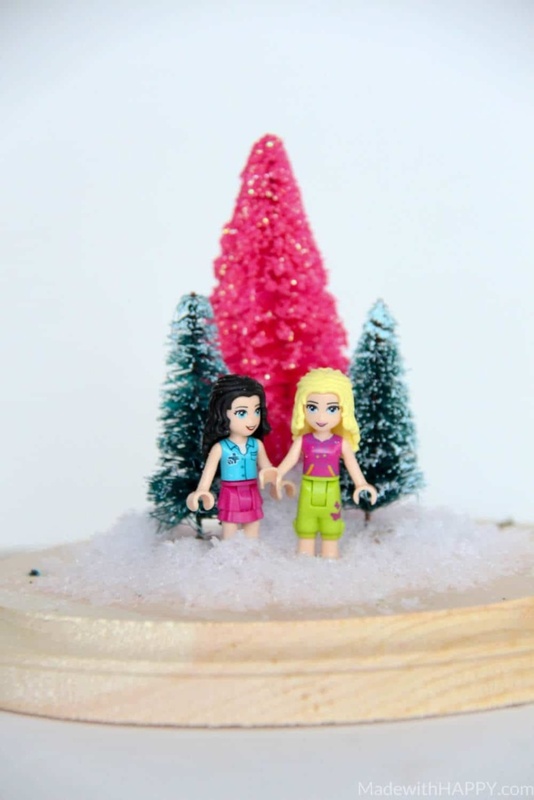 Once you have them in place, you can sprinkle the fake snow over the top. 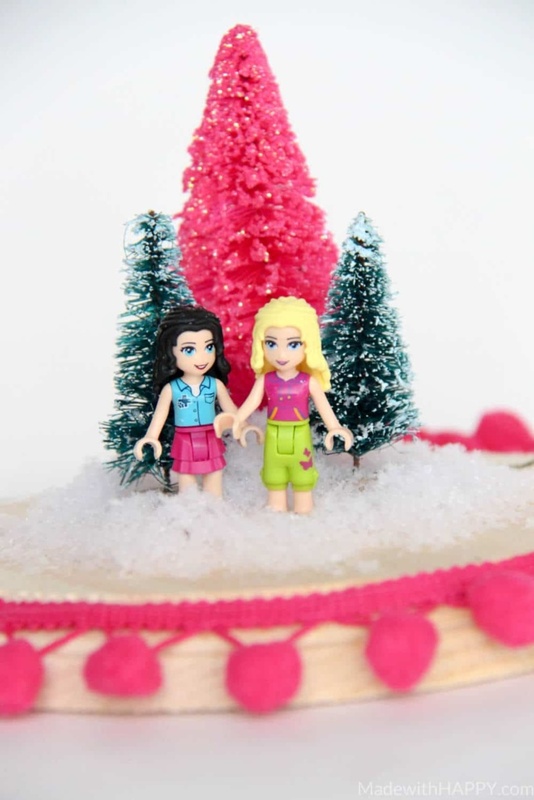 We’ve added legos and cork snowmen and viola, you have yourself a fun new holiday decoratation. This is so cute! The dollar store seriously has some great Christmas stuff!